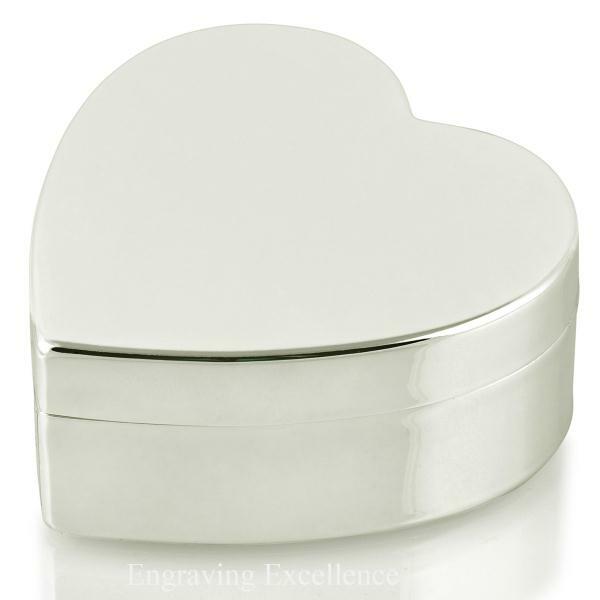 Keep all your precious little trinkets and ornaments safe in this beautiful heart shaped trinket box. 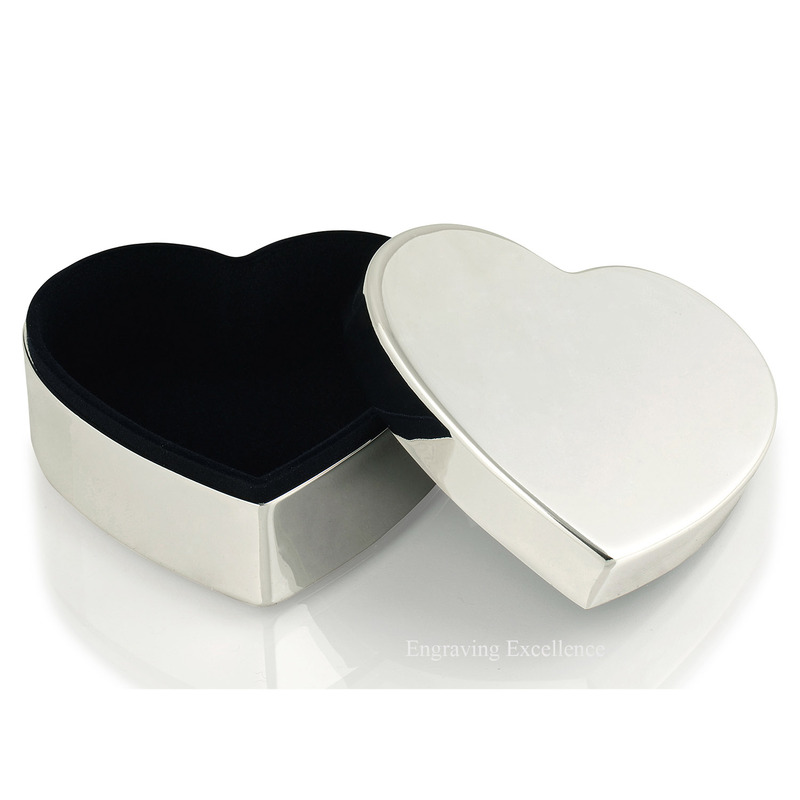 Polished to a mirror quality shine, this stainless steel box is a lovely addition to a vanity table or desk. Lined in luxurious midnight blue velvet,this beautiful gift can store all number of small to medium jewellery pieces.This gift is available with free engraving, from sentimental words to simply a name or date; for that personal touch. 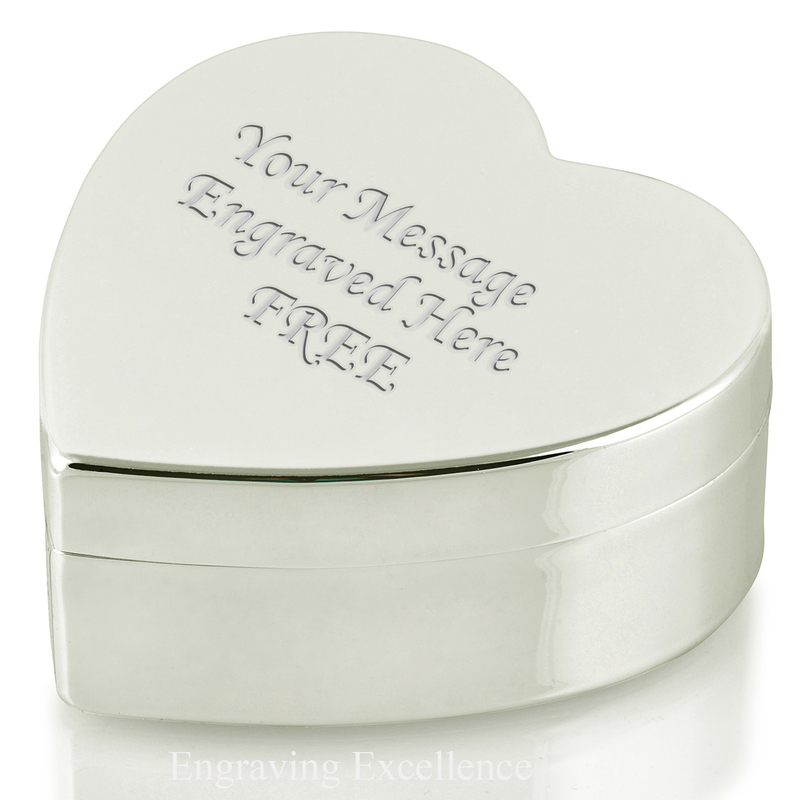 On the trinket box we engrave up to 5 lines of 15 characters each (including spaces).